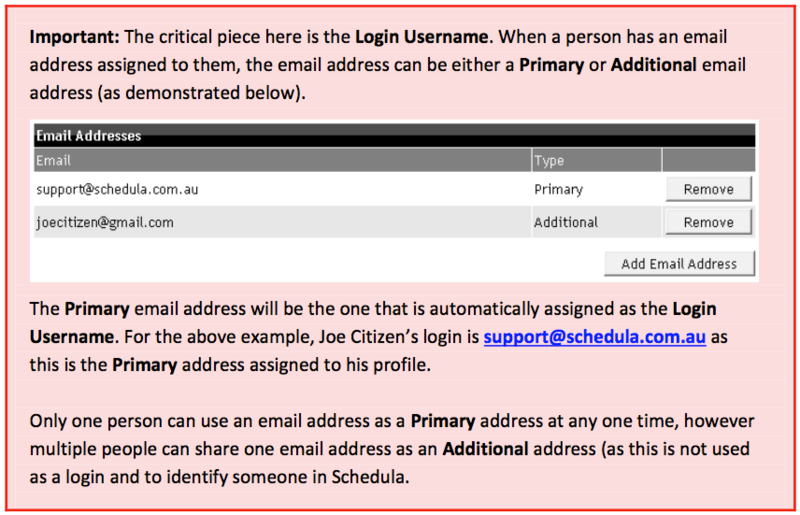 ￼Using the Schedula database, you can manage each of your people’s logins to their customised Dashboard. The following instructions will explain how you can add, change and remove the logins for your people within your Organisation. Note: You can generate a Login Report from the Reports menu which will assist you in understanding who has a login for Schedula, what their login email is and when they last logged in. 1. 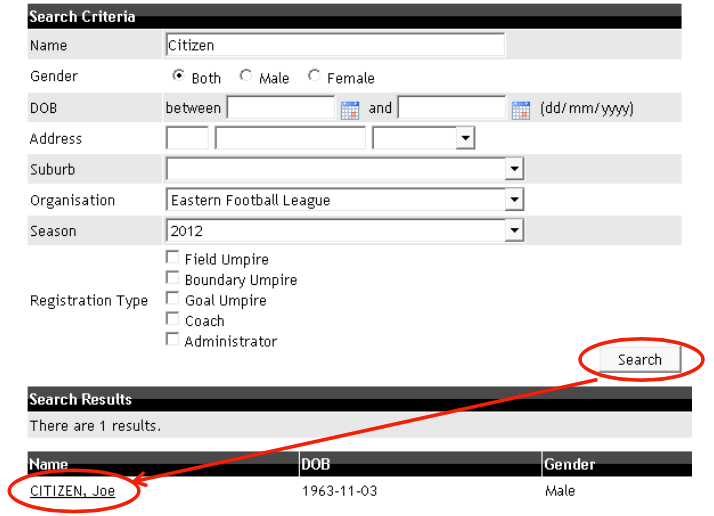 Login to Schedula and navigate to List Administration>Search Official List. 2. On the Search Official List dialog, enter in some search criteria to find the person you want to enable as an Administrator then click Search. Click on the person’s name to bring up their Profile. Login Username – The email address assigned to this person as their login username. Account Status – Details the current status of the account. Reset Account Password – As an Administrator, you can reset a person’s login password for them should they not be able to recover their own. Last 3 Logins – Lists the date and time of the last three logins.